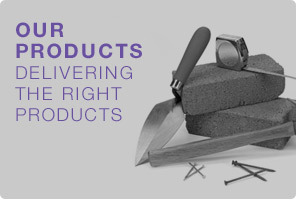 Let us shed light on the right insurance products for you, from public liability to business insurance and much more. If you own a commercial building you need specialist insurance cover, whether you are leasing out your property or using it yourself. We can arrange cover for commercial, residential, mixed use & unoccupied property. Whether you are a self-employed tradesperson or have a team of tradespeople working for you, you will undoubtedly know exactly how important it is to have the right kind of tradesman liability insurance in place. We can help keep your business protected. Whether you run a salon, corner shop or large department store we can provide tailored retail insurance to protect your shop against the unexpected. With the rapid rise in claims over the last few years, you need to be protected. Nobody wants to make a mistake in their work. Worse still – nobody wants a client or someone else to be out of pocket because of a mistake. That’s where professional indemnity insurance comes in. 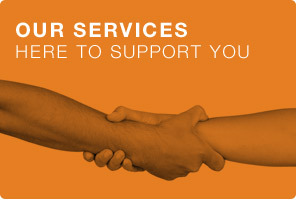 You’ll need it if you provide a professional service or give advice. Legal Expenses Cover is designed to give you the right support to protect and negotiate your legal rights. Cover is designed to offer protection if you’re faced with a potentially expensive dispute. See what we can cover. Glowsure are pleased to work in partnership with Navigators & General who we recommend for all your boat insurance needs. Click below for more information and an online quote. If you have a high value or period home, or you own valuable contents such as paintings and antiques, you’ll probably find that a standard home insurance policy is unsuitable for your needs. We’ll ensure you have the right protection. We know how important it is to keep your business protected from the risk of a cyber attack. We can provide you with a comprehensive policy to suit your requirements. Cyber Risks is NOT offered under standard business insurance policies. Contractors All Risks Insurance, also known as contract works insurance, covers you if you are involved with extending, refurbishing, converting a building or a ‘new build’. This cover can prove to be invaluable in ensuring a project stays viable. We are able to offer office and surgery insurance for a whole spectrum of offices and medical and veterinary professions. The cover provides an all-in-one-package including all risks cover for loss of property, income and public and employers liability. As a company director or senior executive you may incur certain personal liabilities through negligence, default, breach of duty or breach of trust in relation to the company which may leave you open to litigation and risk. Companies in the manufacturing, wholesaling or distribution sector have specialist insurance requirements that need the attention of an expert. Many landlords don’t realise they need specialist landlords insurance to cover rental properties. General home buildings and contents insurance simply isn’t adequate to cover you for all third party risks that you could encounter as a landlord. If you own, manage or are resident in a block of flats, tenement or residential apartment block, you’ll need specialist insurance because regular buildings insurance policies won’t always provide the level of cover required to ensure complete protection. We provide a variety of licensed trade products because we understand that every individual licensee has different requirements. Licensees need peace of mind so that they can focus on giving their customers the best possible service. Public liability insurance provides cover against claims made by members of the public who have suffered injury or damage to property related to the business. Employers Liability will protect you from Health & Safety or other employee claims. Business and Commercial Insurance covers a wide range of different areas which can be arranged separately, bought as a package, or as a commercial combined policy whatever options suits your business needs.